Christmas is an expensive time of year. In fact, I was watching the news the other day and it was listing the average spend per person over Christmas, and for my area alone it was £1,100 to £1,500 each! That’s a LOT of money. So I thought it would be a good idea to put a post together with my top ten gifts under £10 because buying nice gifts doesn’t always need to have a big price tag does it? 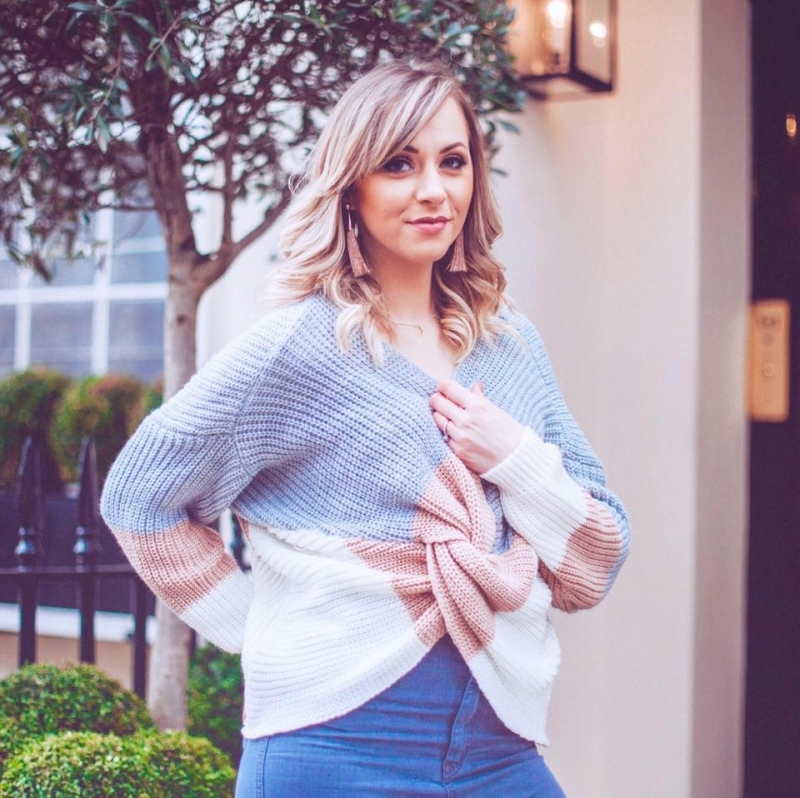 Finding good pressies under £10 can actually be quite hard, I learnt this last year when I did Five under £5 instead, and man, it was hard! But this year I spent quite a lot of time researching the very best gifts you can get, so I hope you’ll find some gift inspo here that won’t break the bank! 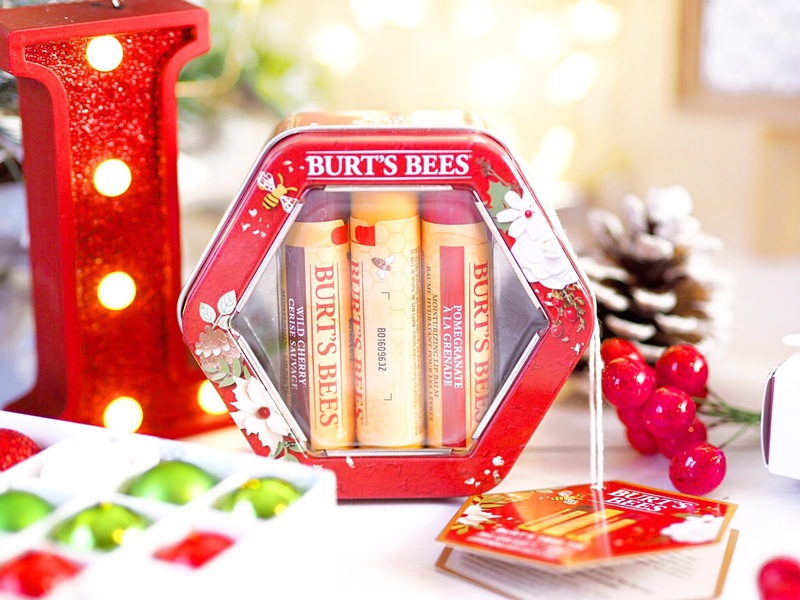 You can’t go wrong with Burt’s Bees Lip Balms because they’re made from 100% natural beeswax. They’re really good at coating the lips in a silky smooth layer of comfort, that helps stop lips drying and cracking – which is a major problem in this weather. This cute little trio set contains full sized Wild Cherry, Pomegranite and Peppermint flavours so you’ll be able to taste and smell the delicious flavours as you go. All in a lovely little tin, they make a gorgeous gift! I have seen these on Instagram a lot recently and was thoroughly excited to give them a go! 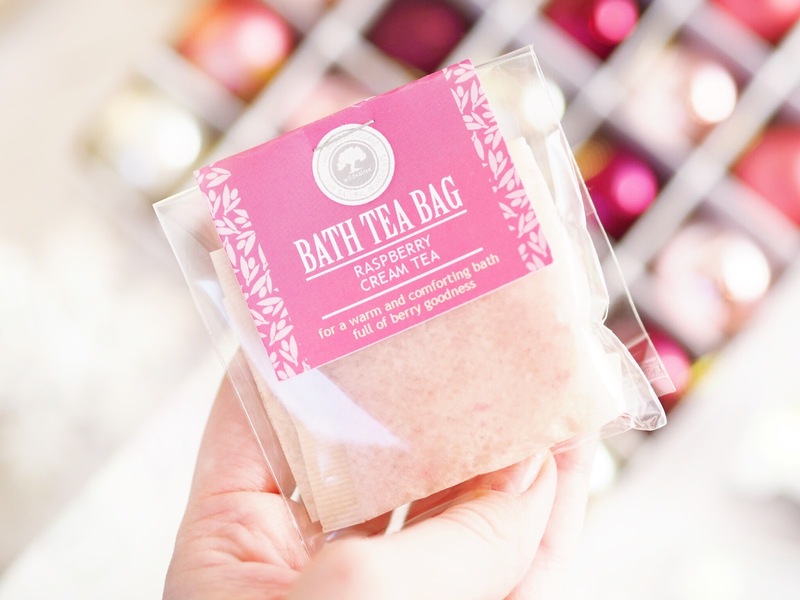 I’m an avid fan of tea, and the novelty of bath tea bags wasn’t lost on me. 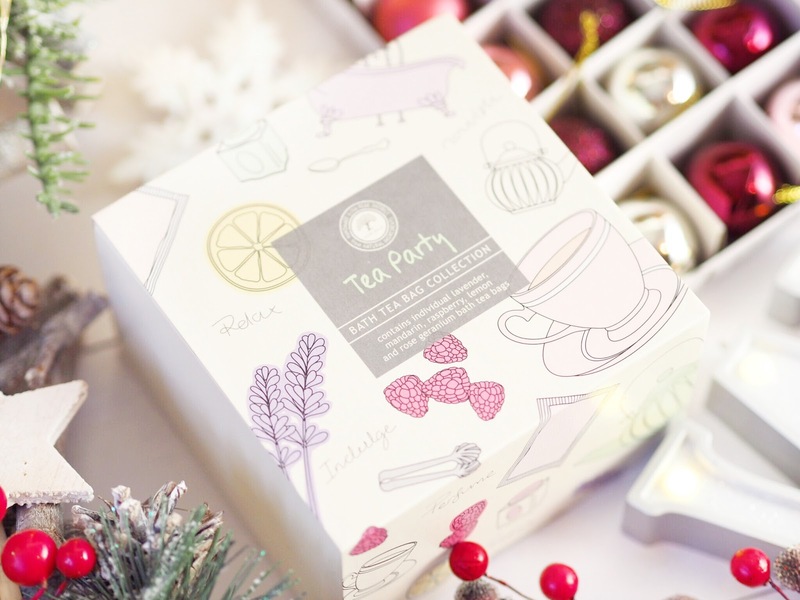 This box contains five different bags, my favourite being the Raspberry Cream Tea variety – it’s so sweet and lovely to relax in. You just pop a teabag in the bath and the salts and oils infuse the water and create the most yummy aroma. Plus these are made in Derbyshire so they’re home grown, perfect for supporting British businesses and they won’t break the bank either. 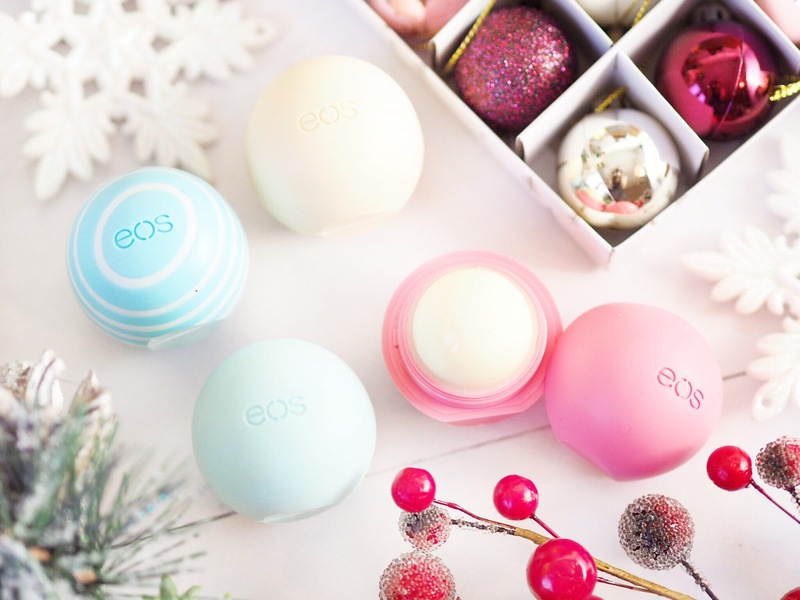 If buying a set of lip balms isn’t quite what you’re thinking then the individual EOS Balms are a great alternative. These are priced at £6.50 each and come in a coloured egg shape. There’s lots of flavours to pick from, my favourite is the Coconut Milk one. 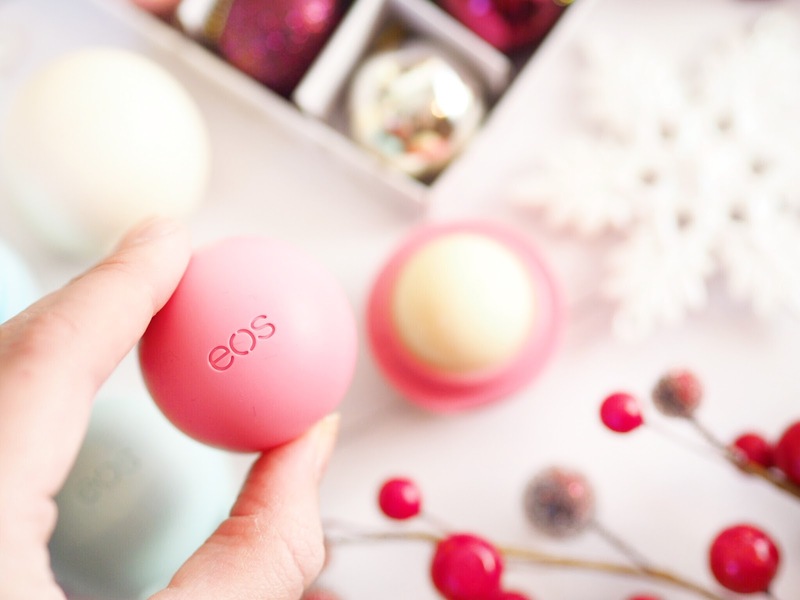 But what I love about EOS balms is that they’re 95% organic and paraben free. With lots of vitamin E in each balm, they’re very nourishing for the lips and give a great coverage. Plus they’re the perfect handbag size too. Everyone loves stationery don’t they? Plus you can never have too many pens in the house! 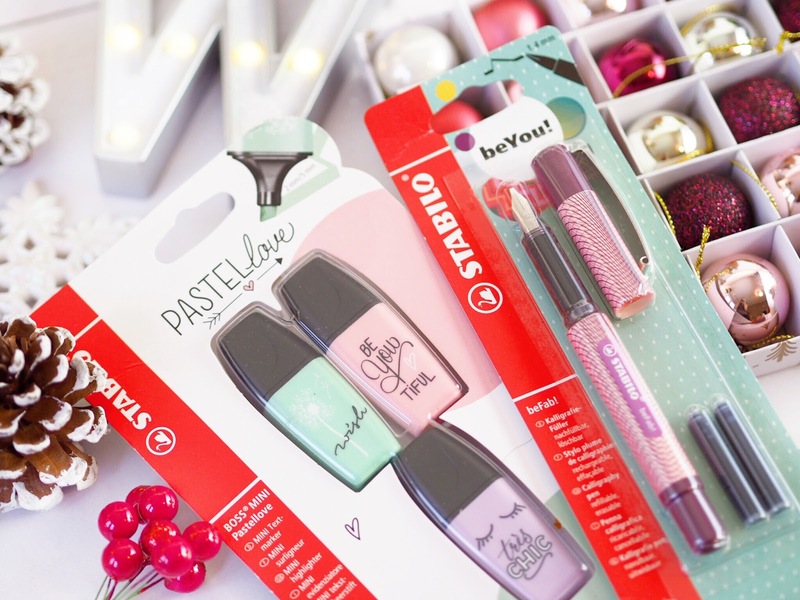 I love how girly this range from Stabilo is, and none of the products will break the bank at all. The three pack of cute pastel shade highlighters give a great alternative to the neon highlighters which you usually see, and I like them all the more for this! Plus the matching fountain pen is great for all ages, and it’s always nice to be able to pull out a fancy pen when you need to sign things etc. I think these make really useful gifts. 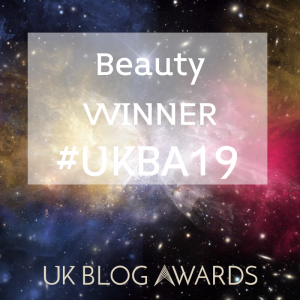 Another great British buy, this deliciously aromatic and oil infused hand cream comes in a generous sized pot and is made exclusively in the north of England. Buying British and home-made is so important to keep small businesses going, but also it ensures you give a thoroughly lovely, and lovingly crafted gift. This hand cream is indulgent and luxurious and perfect for women of all ages. Plus it smells DIVINE. As a Gin lover, I was so excited to see these that I purchased several for me, and several for friend’s this Christmas. 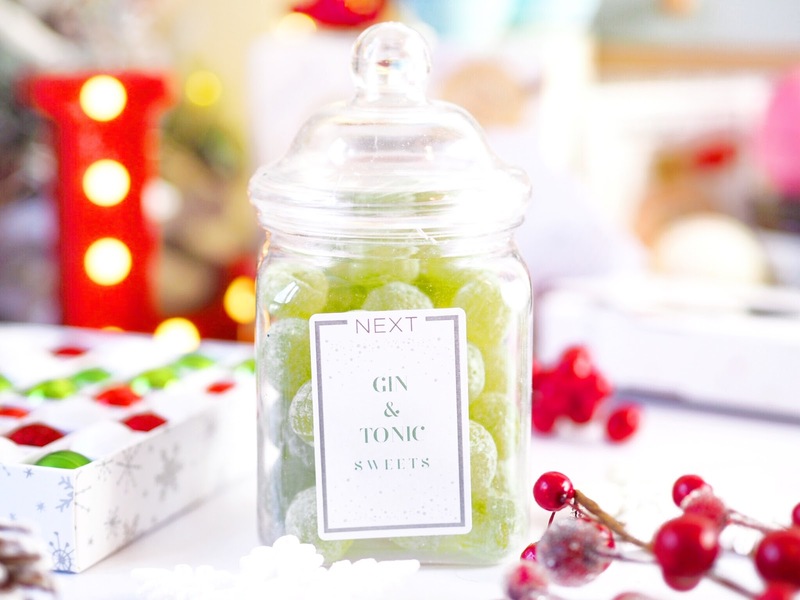 These Gin & Tonic Sweets form Next make a really cute gift and they really taste like Gin! In a retro looking sweet pot, these are only £5 so they’re great gifts and stocking fillers for the Gin lover in your life! I’m not going to lie, this is one of my favourites! 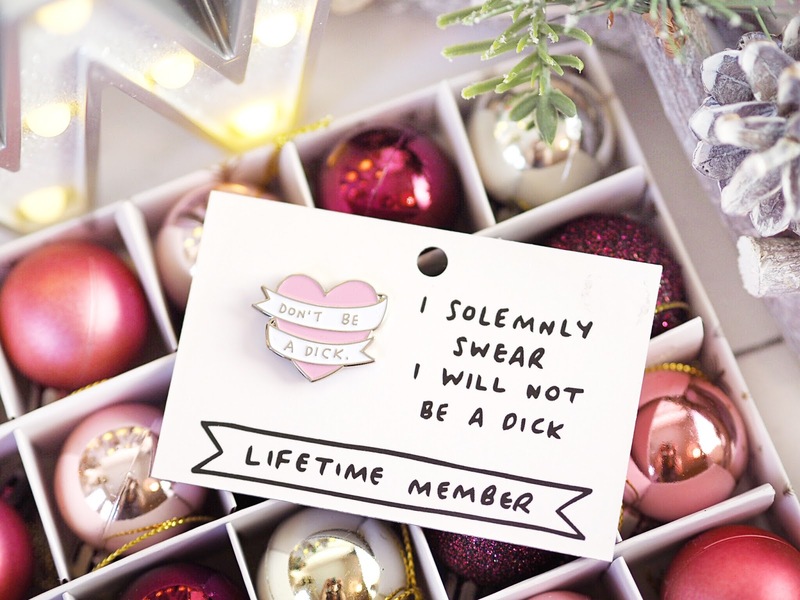 My friends got me this Veronica Dearly Badge as a gift for entering married life and they said whichever of us was being mean, had to wear the badge. 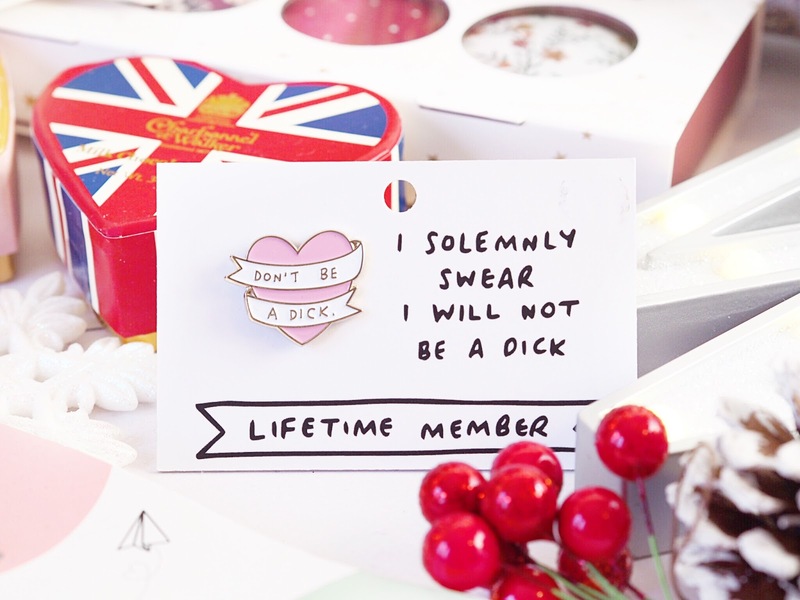 Personally I can think of a lot of people who would need this badge, but it would make a funny gift to give, wouldn’t it! I don’t think there’s anyone who wouldn’t appreciate it! Artisan chocolates are a fail safe gift at Christmas, because who wouldn’t love some fancy choccies to munch on?! 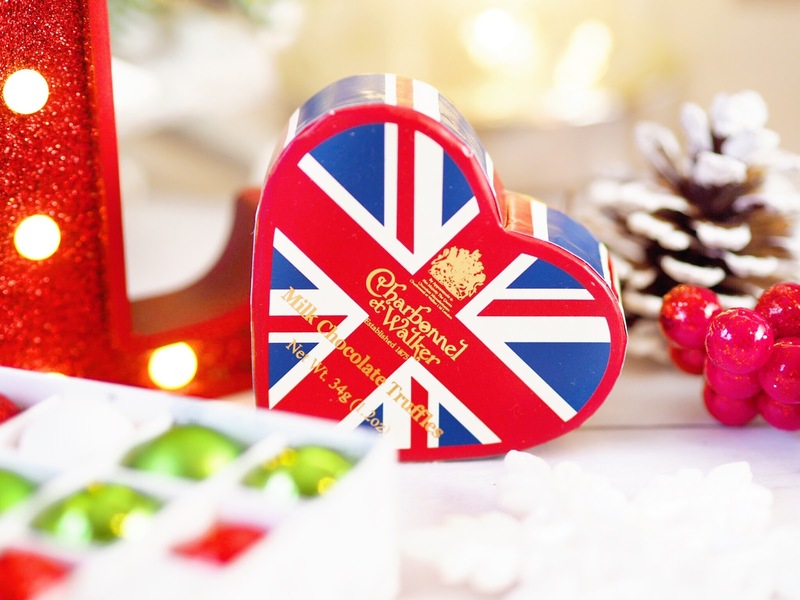 The Charbonnel & Walker truffles have to be some of the best on the market and these cute little heart shaped boxes contain three truffles to get your taste buds in a tizzle. I love the milk chocolate and Pink Champagne variations and think they make lovely gifts that won’t break the bank, despite being such a gift of luxury! 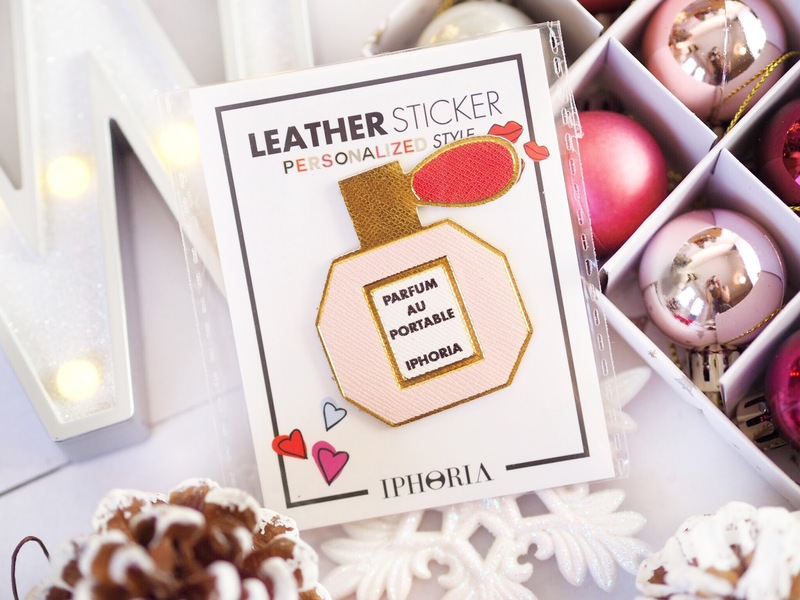 Iphoria are a European accessories brand and they have some seriously cute leather stickers that you can put on your phone. There’s lots of choices available, but I love this little perfume bottle and I’ve stuck it on one of my blank pattern cases. It’s something a bit different and a way of making your phone’s decoration a bit unique. I’ve never seen anything like this before so it has the novelty aspect of a gift too. 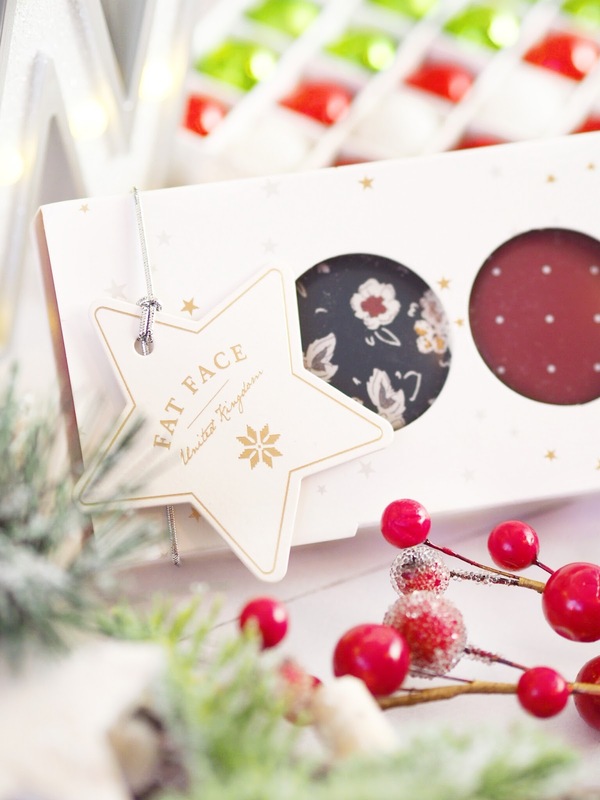 Yep, another great little lip balm set, this one is from fashion brand Fat Face. 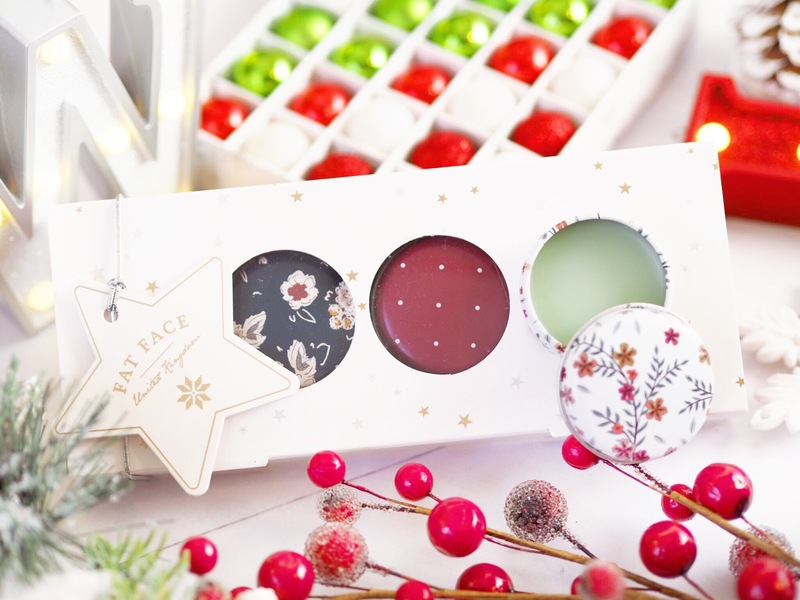 The trio gift set is probably the most festive, and inside the decorated box and each balm comes encased in it’s own little tin. There’s even a gift tag to write on – so it comes ready to give! With mint, wildberry and raspberry lip balms included there’s a good range of flavours and scents and I think this would make a great stocking filler or secret santa gift. 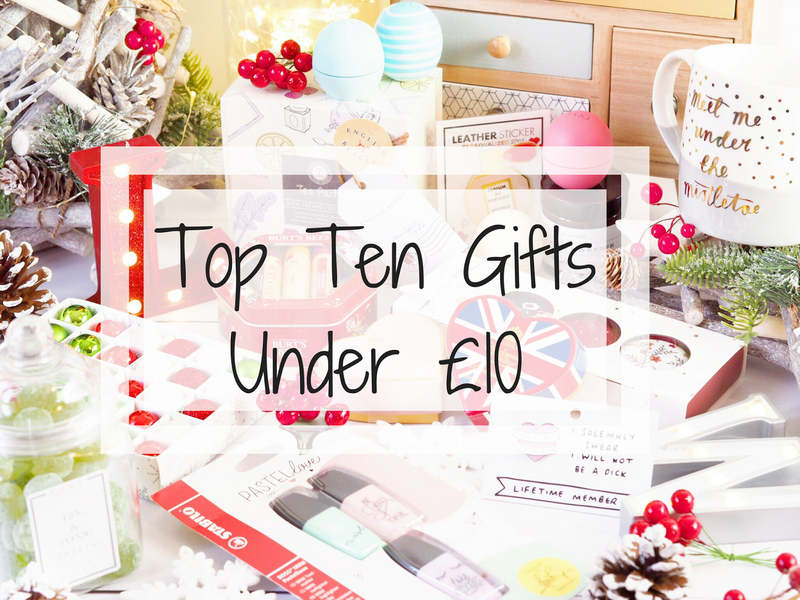 So there you have my top ten gifts under £10! 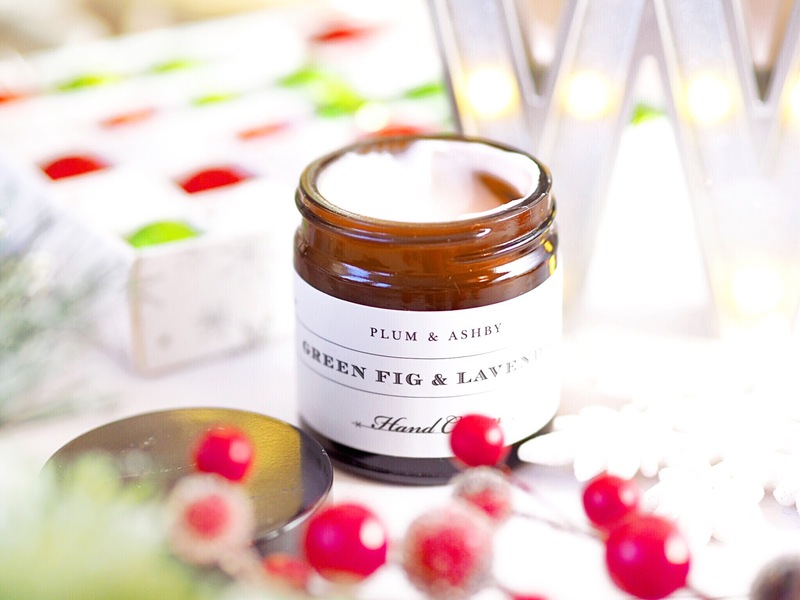 I hope you’ve found some gift inspiration for your Christmas shopping here! I know I loved putting this Guide together so please let me know which of these will be making their way into your shopping baskets this year!